The U.S. Robotics Roadmap has been revised, and it makes recommendations for investments in basic research and certain applications for automation. Does it ask for enough of the new administration? The 2016 edition of the “Roadmap for U.S. Robotics” was recently released. This 100+ page document outlines the challenges facing both research organizations and commercial entities as they plan for investment in the various markets for robotic automation, services, and augmentation in our society. The gap in relevant expertise currently possessed by policy makers. The necessity of interdisciplinary research among government, academia, and business. The need to remove barriers to research through the creation of effective and timely regulations governing usage and safety of automated systems. The roadmap tries to identify the gaps between the perceived use cases and the state of the art for current robotic solutions. It also outlines how these gaps might be closed over the next five to 15 years through innovation and targeted research programs. The U.S. government and the team of experts assembled by the University of California, San Diego, revised the document over the past four to six months and finished it prior to the presidential election. It is interesting to read this document post-election, as many of the observed challenges will be directly affected by the personnel and policy choices of the incoming Trump administration. One of the report’s recommendations is that there should be greater expertise within government around cyber-physical systems. It’s not clear yet how much data or science will guide the new administration’s decisions. However, it is obvious that before anyone grants the necessary research funding, the levels of comprehension within the ranks of relevant government agencies must be improved. It falls to us, as a holistic industry, to provide the necessary education and ensure that basic research is properly funded so that the cycle of innovation can continue. Just as the space race and the foundation of NASA led directly to the evolution of the computer industry from the 1960s onward, this robotics roadmap makes the case for a similar net effect related to the ongoing investment in autonomous vehicles and human augmentation. And while artificial intelligence (AI) is only briefly covered in the document in the form of machine learning, it should be clear that an explosion in AI capability is also on the horizon in the next five to 10 years. Applications in cybersecurity, the Internet of Things, and process automation are all emerging areas for investment. These applications exist outside of manufacturing and other classic robotics uses. AI (in the broad sense) and machine learning are already working their way into robotics applications, as researchers and vendors attempt to make their systems easier to use, more fault-tolerant, and able to function in increasingly unstructured environments. The document’s authors expect AI and machine learning to expand robotics into new use cases. Border security, law enforcement, and defense-related opportunities are likely to gain additional visibility immediately after the inauguration. These areas are ripe for additional investment, as robotics and AI close some of the capability gaps in existing systems in the next four years. Another example the roadmap mentions is the opportunity for unmanned aerial vehicles (UAVs) across a variety of markets. It is certainly true that U.S. airspace is one of the most complex and controlled airspaces in the world. 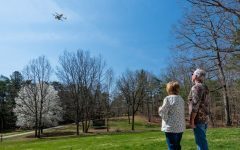 We’re not likely to see significant new growth in UAVs until U.S. regulations make clear who’s liable for the safe operation of autonomous aerial devices and more equitable rules are defined for airspace use. One of the best-known use cases for autonomous systems today is around the expectations for self-driving cars. With all of the recent hype around autonomous vehicles, the major automakers and top technology companies have invested millions of dollars in research and development. There is likely to be an explosion in investment as startups and established enterprises work to overcome a variety of challenges, ranging from sensors and advanced route-planning algorithms to connected AI. To this end, the roadmap clearly articulates a path forward and describes how the market for autonomous vehicles and adjacent markets will evolve. I think the authors are a bit too conservative in predicting this path over the next 15 years; these innovations are likely to happen at a faster pace. Since the election, President-elect Donald Trump has been busy filling his cabinet and making initial statements about the U.S. economy and international trade. While some rejoice and others despair, there are some immediate takeaways for the U.S. robotics industry. After meeting with Trump, Masayoshi Son announced that SoftBank Group Corp. would invest $50 billion in the U.S. and create 50,000 new jobs. Not only does Son own telecommunications provider Sprint Corp., but his SoftBank Robotics division has begun rolling out the Pepper humanoid service robot in the U.S. Could a wider rollout be coming? By contrast, Trump’s comments about the Trans-Pacific Partnership, controlling the Internet, relations with China and Taiwan, and immigration and R&D could lead to conflict with Silicon Valley. Certain industries, such as defense/security, will likely benefit from Trump’s administration, while others, such as some automotive, could suffer. The U.S. government is likely to be receptive to the needs of domestic manufacturing, as global production continues to shift. The robotics industry will welcome cuts in regulations and taxes, as well as investments in the national transportation infrastructure. Still, much of the global economy is beyond easy government control, and other countries and regions are working on their own robotics strategies. How Will President Trump Affect the Robotics Industry? Can Trump Make U.S. Robotics Great Again? One of the key conclusions of the roadmap is that funding for basic science and R&D for the next four years is at stake, depending on the priorities of the new administration. The widespread belief that automation will steal jobs must be countered by research and facts. Robotics and AI won’t be applied equally to all industries, but the U.S. government, business, and academia should take leadership in determining where to develop and adopt these technologies. We also need to focus on the skills shortage and training/retraining. It should be clear to everyone who has a stake in the U.S. robotics and automation industry that we need to continue to educate both the general public as well as government agencies and policy makers. They need to understand the potential benefits, realities, and opportunities that automation technologies present to individuals and the U.S. economy as a whole.